A Nigerian Senator, Suleiman Nazif, representing Bauchi North constituency was deported today from the Washington-Dulles International airport after he arrived the US with a visa that was granted him to attend President Obama's inauguration in January 2009. The senator, who was traveling with a friend, had six days left before his visa expires. He was refused entry to Washington DC by the US Customs and Immigration Services (USCIS) on the suspicion that his purpose of visit did not tally with the notations on his visa. 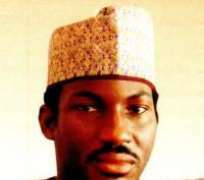 Also, sources told Saharareporters that the Senator did not contact the Nigerian consulate in DC that he was visiting. “He arrived last night on a British Airways flight from London and had since been prevented from entering US soil.” a US immigration source told Saharareporters. Senator Nazif will be deported back to the UK on a BA flight leaving Washington-Dulles tonight and he is expected to proceed to Nigeria from the UK.